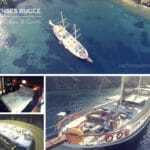 Did you know that you can find top choice gulet charters in Marmaris for your next gulet holidays in Turkey. There are a wide selection of gullets in all price ranges that can be affordable, particularly when the cost to charter is divided among your group travelers. It’s a private Marmaris yacht charter, therefore you and your group will be the only guests on board, along with your personal crew to serve and tend to your needs throughout the day and night. 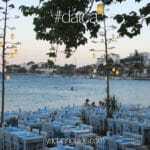 Among the many gulet charters in Marmaris, 2 of the top chosen gulets are from the same family fleet. Yucebey, Yucebey I. Each offer unique features and from different classifications and prices. 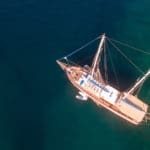 These lovely gulets travel from the Marmaris harbor and also serve travelers on a blue cruise Greece holiday from Turkey from the months of May right up until the end of October. This lovely trio of gulets are all equipped with air conditioning, en suites, around the clock crew services with warm hospitality and professionalism, and great chefs who prepare amazing dishes to tempt your taste buds for more. 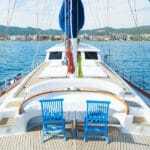 Each gulet is ideal for not only family gulet holidays but also group yacht charters with friends. Why not find out about these elegantly hand crafted Turkish gulets and see if they meet with your holiday requirements – to enjoy the pleasures of gulet charters Marmaris Turkey.